Furthermore, Promo #3 was reuploaded on the Filly Funtasia fan channel a long time ago since its original upload was a long BRB compilation video that was their promo for MIPTV 2014. BRB didn't forget about that one - that compilation video is also private. Promo #2 was actually found on WorldScreen which routinely deletes videos after events end. That leaves Promo #5 as the only numbered promo that's currently still available in its original upload. Notably, that is the only numbered promo that is uploaded on the "MyFillyWorld" channel which is run by Dracco. Again, this reinforces the trend that's becoming increasingly obvious - BRB Internacional is removing all Filly Funtasia content that they are hosting while Dracco is leaving it up. Now, why would this be? A very charitable interpretation of BRB's original removal of Filly Funtasia from their website (as well as Screen21's and Apolo Films' removals...) could be to guess that maybe it's just temporarily removed because they're rewriting it for some reason. But now, they are going back and making every old video that features Filly Funtasia private - including an unlisted one! At this point, it does not seem to me like BRB Internacional and its associated companies will be producing Filly Funtasia anymore. I doubt we're going to see an official confirmation of this if this is the case. There have been attempts at contacting BRB through email, through their social media accounts, as well as attempts to contact Apolo Films and Screen21. There have also been attempts to contact the individual people at BRB that we've previously been in touch with over the years. There have been no replies despite weeks of waiting. At this point, I will assume that we are intentionally being ignored. That means that we have to consider the possibility that Filly Funtasia is cancelled completely. However, so far, there have been no removals of any kind of Filly Funtasia material hosted by Dracco. Now, this could simply be because Dracco's webmasters are slow. Unlike BRB, they do not really use social media, and while we have previously been in contact with BRB a number of times (before they decided to start playing the quiet game, that is), we have had very limited contact with Dracco. There is also a remote possibility that they want to continue production of the show with another production company - but if they do intend to do this, it's very unlikely that the release of the show is coming any time soon. Lastly, there is the possibility that everything is actually fine and there's a logical reason for these removals. I was willing to believe that previously, but after this latest round of removals, I have a very hard time trying to think of a believable reason for why all these removals have happened if BRB are in fact still continuing production. 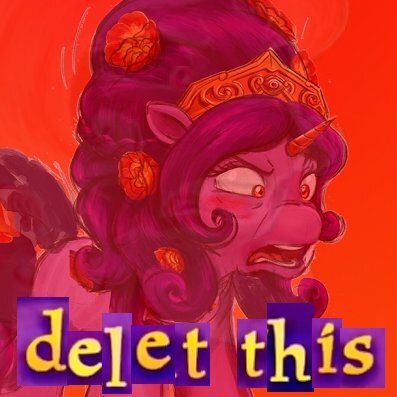 I don't want Filly Funtasia to simply be vaporware forever. I want closure and to know what's happened. I will keep on trying to find out what's going on until someone is willing to give me a straight answer or until I find some other clear evidence of what's happened. Because I think Filly Funtasia deserves better than eternal vaporware status. We won't just wait around for an answer, though. (or for Filly Funtasia to miraculously return to life) We'll keep posting about the Filly toys which thankfully seem to still be fine, and we also intend to use this website to post about other magical horse franchises, other franchises that are thematically related enough, and other fun stuff. One of my main hopes for Filly Funtasia was that it could act as an impetus to the establishing of cute magical horse (and I guess other animals too) fantasy cartoons and comics as a broad and vital genre. Perhaps this can still happen even without Filly Funtasia.